Graph databases are a rising tide in the world of big data insights, and the enterprises that tap into their power realize significant competitive advantages. So how might your enterprise leverage graph databases to generate competitive insights and derive significant business value from your connected data? 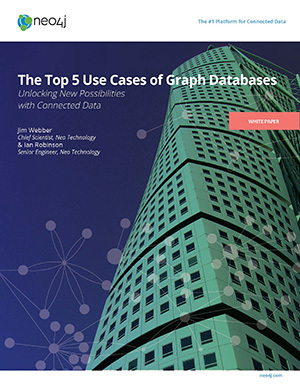 Download now to read The Top 5 Use Cases for Graph Databases: Unlocking New Possibilities with Connected Data.